← Where in the World is Tunde? 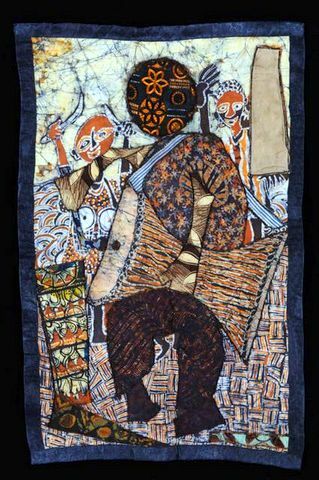 Tunde Odunlade developed a unique batik appliqué process that builds on traditional textile print techniques to create wall hangings with unusual depth and texture. This “Village Drummer” is a classic example of the technique.